The Foreside Bed revisits spindle architecture for the bedroom setting, embracing, and designed through the lens of an evolving yet thoroughly Moser aesthetic. The intention of the bed is to embody and magnify all things Thos. 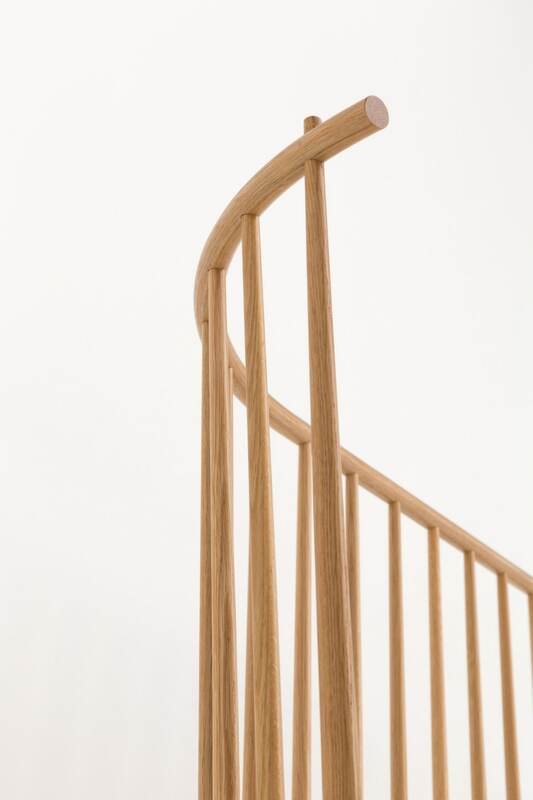 Moser – manifesting a dedication to function, formal simplicity and the use and celebration of traditional materials and craftsmanship. 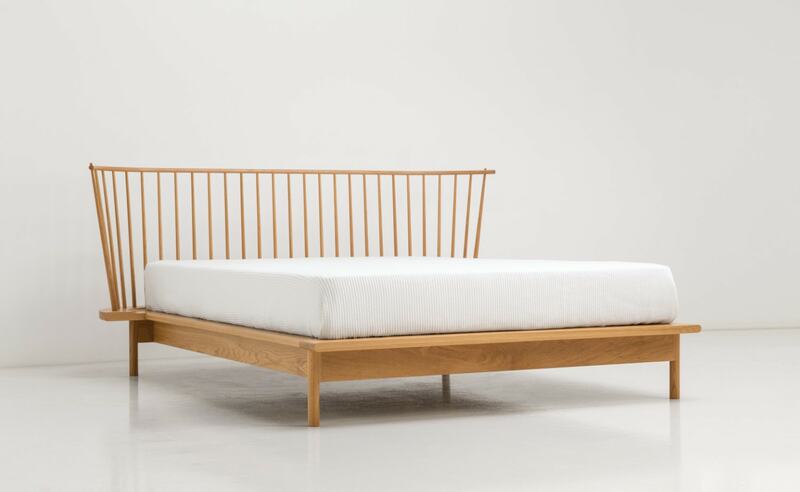 The bed marries both Asian and American designs, from its supporting platform to the light, airy feel of its spindled headboard. 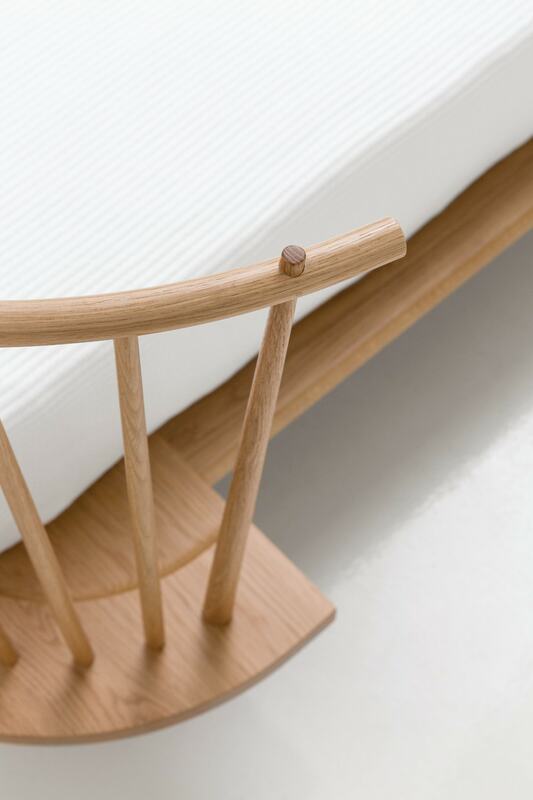 The Foreside Bed shows our craft capabilities and defines ‘visible joinery’ in a new way with the collection’s hallmark joint. Here, we employ a pinned through tenon at each end of the row of vertical spindles. The tapered diameters of the end spindle are larger than the interior members and pierce the top bow. The spindle is held in place with a wood pin that is exposed on the front and back of the bow. Several of the interior spindles are pinned as well but are visible only from behind. The bowed crest of the headboard is the product of stack laminating. Once the several layers of solid wood veneer are glued and pressed into a form that establishes the overall arch of the bow, it is shaped to the final round profile. The holes are then drilled on the CNC for accuracy. The standard bed slats that support the mattress are made of ash, oriented on their ‘sides’ for improved structure. The rest of the bed will always be a single wood species. 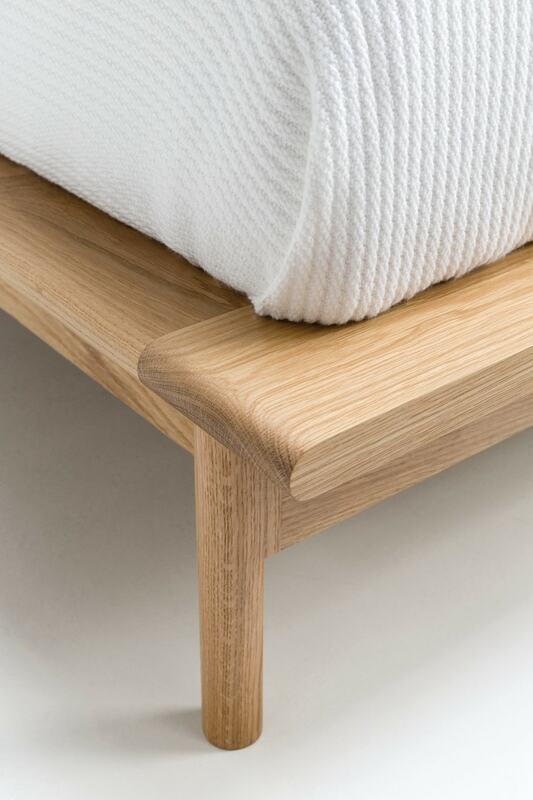 If specified in white oak, the spindles and all other components of the bed will also be white oak. The Foreside Bed employs a new approach to the in-home installation and breakdown of the frame. Rather than our standard bed bolt assembly, here we are using embedded threaded inserts into which the bolts are connected to make them less visually intrusive. 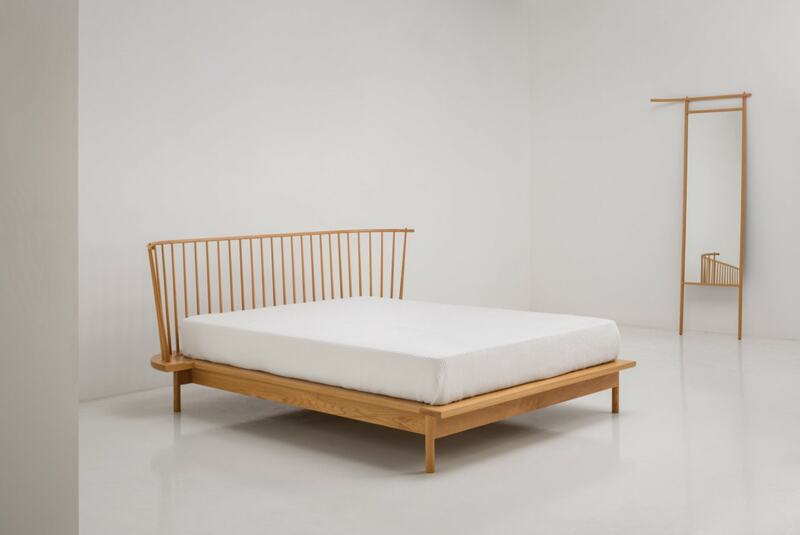 The Foreside’s simple aesthetic pairs well with either traditional or modern bedroom furnishings.